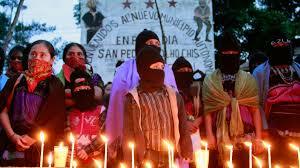 On 26 September a year passed since the 43 students from the Isidro Burgos Rural Teachers College in Ayotzinapa, Guerrero, were forcibly disappeared. In different states and abroad, actions and mobilizations were held to demand clarification for what happened to the youth as well as those killed and injured on the tragic night of 26-27 September 2014. Beyond this, several people protested in the state in at least 40 municipalities, by carrying out marches, roadblocks, and cultural festivals. “The gospel teaches us not to remain silent before cases such as Acteal; Simojovel, the forced displacement of Banavil and Primero de Agosto; before cases of the destruction of nature from mining and mega projects and in cases such as alcoholism and drug addiction in our communities,” shared Marcelo Perez Perez, pastor of Simojovel. 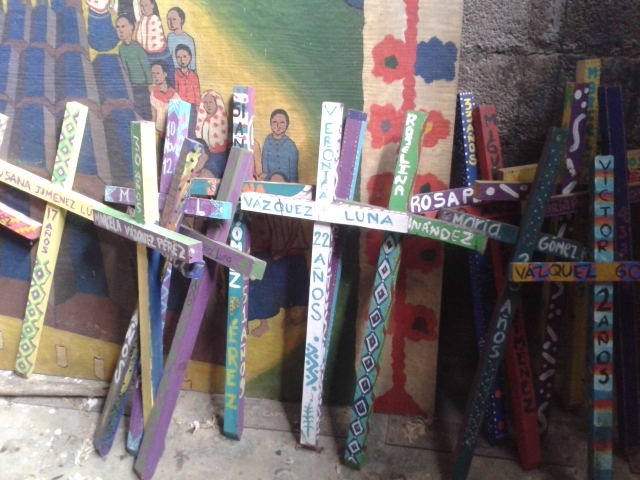 From their part, the Network for Peace (Red por la Paz)-Chiapas, demonstrated that the case of the displaced families of Primero de Agosto is not an isolated case, and at the same time reiterated their solidarity with them, “It is a privilege to pilgrim and walk with you. We will continue walking ts’omanotik (together)” they added. 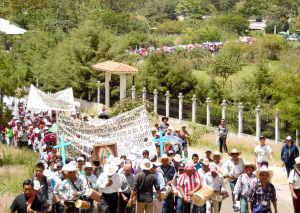 In a pronouncement, The Believing Peoples and the different communities and social organizations that participated in the pilgrimage, expressed that they are organizing, uniting, and transforming their consciousness, “to confront the violence that we live in our communities and the problems that come with structural reforms: such as education, health, labor, and energy”. 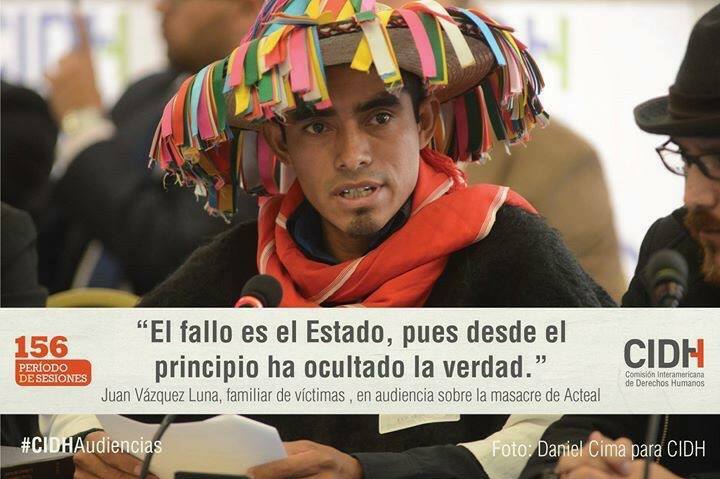 On June 22nd, the day for the monthly commemoration of the Acteal massacre (1997) in which 45 people were murdered, the Las Abejas Civil Society of Acteal denounced impunity for the massacre as well for the murder of its member Manual López Pérez. 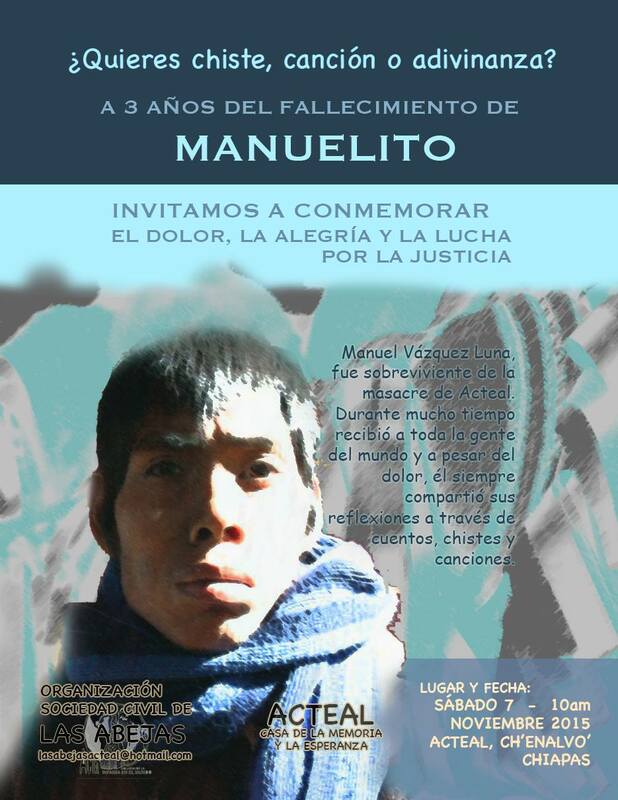 Their communiqué stressed that “The authorities of bad government, “the Prosecutorial Office of Indigenous Justice, ” “the Agrarian Tribunal,” and the municipal president and judge of Pantelhó, had been informed that their comrade Manuel was risking his life, as his own son, Alonso López Guzman, had threatened to kill him on several ocassions.